Navodaya Entrance Test Results 2019: Jawahar Navodaya Vidyalaya has conducted the Class 6th Entrance Results 2018-19 on 6th April and 9th class entrance test on February 2nd. across the nation. As per statistics revealed by JNV nearly 28 lakh Students have appeared for the JNVST 6th entrance test this year. The Jawahar Navodaya Vidyalaya has organized the examination in 7000 examination centers in 28 states across the nation. The JNVST 6th entrance test was earlier scheduled in the month of February but later it postponed to 6th April 2019. The answer keys for JNVST examination were released by the conducting authority soon after the examination completed. Students who have appeared for the examination have estimated their score by comparing the answer keys; students are keen to check the JNVST 6th class entrance test Results. Candidates can shortly download the results from the official website, nvshq.org. Candidates competed for the written test can download state-wise, name-wise results for 6th class & 9th class and merit list from the same website. 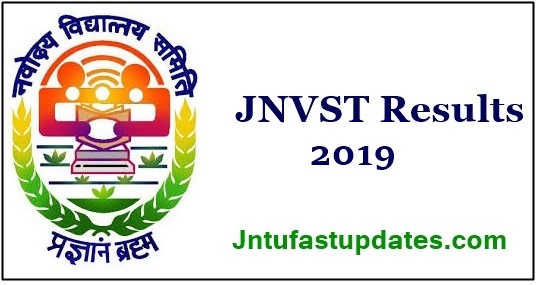 Competitors keen to know more information about JNV result 2019 can go through the following article to check more details. Jawahar Navodaya Vidyalaya Selection Test (JNVST) conducts the Navodaya Entrance test for various classes to provide quality education for the students. Under JNVST, overall 660 schools are there in which 625 schools are working. Students qualifying the JNVST entrance test with good merit will be shortlisted for the admission in Navodaya schools. on 6th April, the JNVST has conducted the Navodaya class 6th examination and on 2nd February navodaya class 9thh entrance test was conducted. This examination has been conducted for 80 seats. Many of the aspiring students across the nation have participated in this test. To get admission for the academic year 2019-20, more than 28 lakhs of hopefuls have competed for the JNVST entrance test this year. All the students waiting for JNVST 6th result & JNVST 9th result can stay patient until the organization announces the results. Tentative Date for Release of Select List of Students for Admission to Classes VI, IX and XI in JNVs is Soon. The Jawahar Navodaya Vidyalaya Selection Test (JNVST) is going to announce the results in the month of june. The results are expected to release in June 2019. While it will release the merit list of selected aspirants in Second/ third week of June (tentatively). Candidates listed in the merit list will get admissions in Navodaya Vidyalaya. Students can check the name-wise, state-wise, district-wise results and merit list at the time of announcement of results. Students can go through the following article for more grounded information on this regard. How To Check JNVST 6th Class Entrance Results Online at navodaya.gov.in? Students appeared for the JNVST 6th class entrance test can shortly download the state wise and district wise results from the Navodaya Vidyalaya official website. The results for the following districts and states will be accessible to download for the competitors. 1.1 How To Check JNVST 6th Class Entrance Results Online at navodaya.gov.in? Sir,I shall have been waiting the 6th class results 2019..My name is Ananya Buragohain … under golaghat district of Assam.